FREE Time and Stress Management Training Book. We have had many stressful experiences over the years, running restaurants certainly presents you with more than your fair share of them that's for sure. We have made our mistakes over the years, but the main thing is we learned from them, and now things are pretty much stress-free. To put it bluntly, if you can't manage yourself then how do you expect to be able to run a successful restaurant? Remember that the buck stops with you, and you have to deal with the problems arising in the workplace. You have to be the one who can sort the problems out and keep your team together when the going gets tough, unfortunately this isn't great fun, but then it is the less glamorous side of the job. Have a look below for more details. ...we know how it's done and we want to help you! "To put it bluntly, if you can't manage yourself then how do you expect to be able to run a successful restaurant? You have to be the one who can sort the problems out and keep your team together when the going gets tough." The importance of managing your time effectively. Analysing how you spend your time. The need to organise your daily tasks. Using a personal planner to your advantage. The importance of keeping your workplace stress-free. 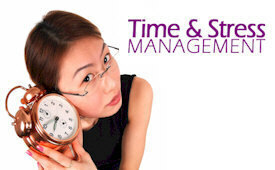 TO DOWNLOAD YOUR TIME & STRESS MANAGEMENT BOOK FOR ONLY £2.99 FREE CLICK ON THE BUTTON BELOW.